A Christian Dailly header in the first-half looked to be putting Gers on easy street in a match they largely dominated but an equaliser from Chris Porter minutes after the half-time interval was to stun the visitors. The Light Blues are now three points behind Celtic with a game in-hand but Gordon Strachan’s side have a superior goal difference of plus seven. If Rangers are to win the league they must now comprehensively beat St. Mirren and Aberdeen, both away from home, and hope that Celtic slip up against Dundee United at Tannadice on the final day of the campaign. Walter Smith named an attacking starting eleven for this must-win fixture with Daniel Cousin and Nacho Novo starting in attack as part of a 4-4-2 formation. 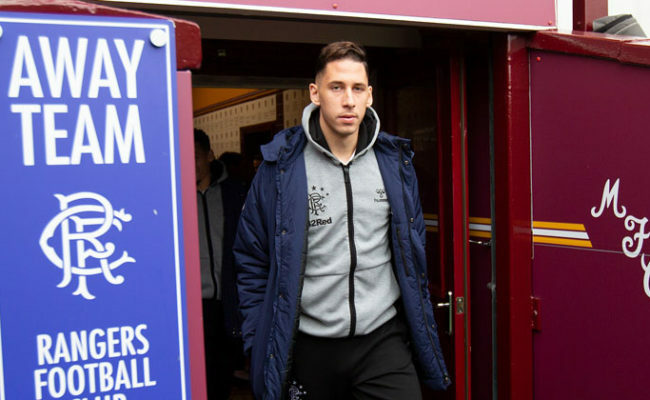 In total the gaffer made five changes from the team that faced Zenit St. Petersburg in the UEFA Cup final on Wednesday night with Christian Dailly and Charlie Adam also returning to the frame. Sasa Papac was to miss the game through injury. A fitting minute applause for Celtic legend Tommy Burns took place before referee John Underhill got the action underway on Fir Park’s much criticised playing surface. On today’s evidence it was easy to see whey this is the case with the ball bobbling up awkwardly throughout the 90 minutes. Rangers, however, started the match in a positive fashion and showed their attacking intent after only three minutes. A long ball from Lee McCulloch was nodded down by Cousin to the on-rushing Barry Ferguson but his pass to Nacho Novo was cleared. Five minutes later and it felt like the ball had not been out of the Motherwell half with Rangers in hot pursuit of a victory. Even Carlos Cuellar found himself on the right-wing but his deep cross was headed wide by Dailly. 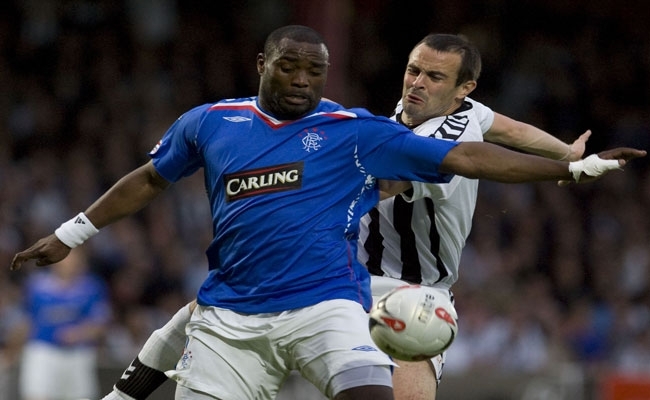 McCulloch and Adam were seeing plenty of the ball in the wide areas during the opening stages and it was the latter that was to tee up Barry Ferguson with a wicked near post cross on 15 minutes. The captain was unable to control his header due to the pace on the ball which ended up in the stands. On 21 minutes Rangers produced an excellent move with David Weir finding Ferguson in space. The skipper fed the ball cleverly to Novo who cut inside before launching a goalbound shot that was deflected wide by Keith Lasley. It was all the visitors at this stage and a good exchange between Novo and McCulloch resulted in Cousin again testing Graeme Smith with a powerful drive from 20 yards which he did well to hold. On 28 minutes Underhill produced his first yellow card for halted a powerful Cousin run on the left flank. A goal was on the cards and seconds later it arrived. Kirk Broadfoot launched a long ball up field and with Smith rushing from his goalline and flapping for thin air, Dailly rose in typical fashion to head home into the empty net before celebrating with his teammates. The Steelmen rarely troubled Neil Alexander’s gaol in the opening period but when Steven Hughes was found sprinting from midfield unmarked it took a terrific piece of defending from Carlos Cuellar to deny the former Gers star. And with only a minute of the half remaining Brian McLean, another former Murray Park starlet Brain McLean pushed forward from his right-back role and his near post shot was tipped over by Alexander. Neither manager made any changes for the restart and within 60 seconds Cousin had a great chance to double his side’s advantage. The Gabon international shrugged Mark Reynolds aside to latch on to a long ball but his low shot hit the legs of Smith. 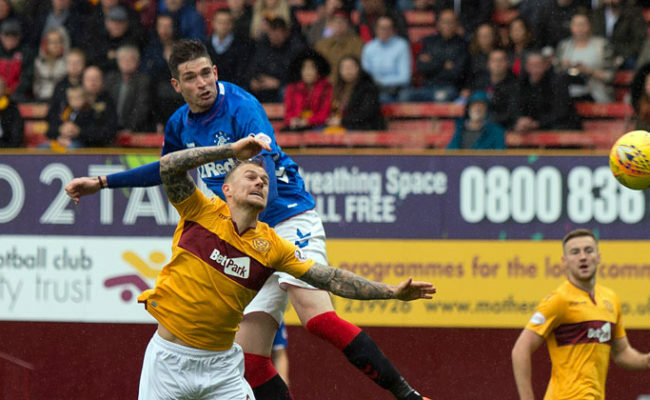 The was to be a turning point as Motherwell were to get back into the game on 48 minutes against the run of play. A deep cross into the Rangers box was headed back across the goal and off the post by David Clarkston. With the defence sleeping the ball then found its way back into the six yard box and Chris Porter flicked it home beyond the stranded Alexander. 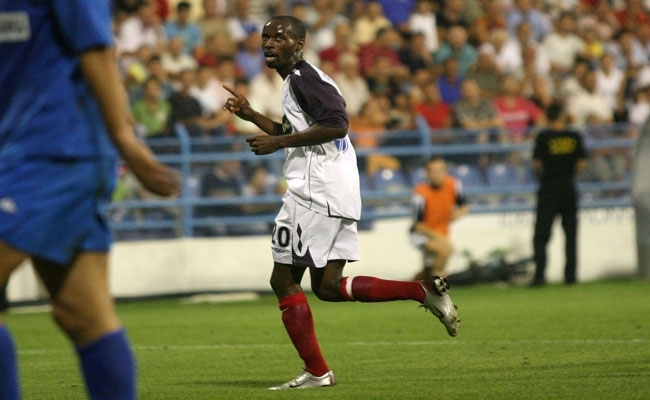 The goal was to stun the Gers’ support who, up to that point, had watched their side cruise through the game. As expected, Rangers were to through everything into getting a second goal with Charlie Adam coming close with a free-kick and a powerful drive which was palmed away by Smith. And his namesake Walter was to make his first alteration on 66 min with Steven Davis replacing McCulloch on the right side of midfield. The Northern Ireland international immediately tried to get on the ball as much as possible. 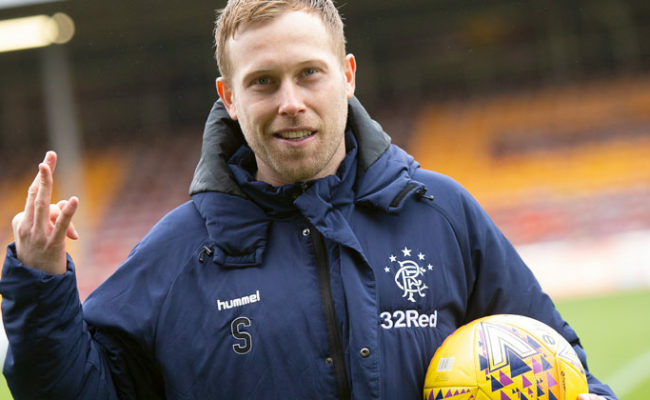 His energy and drive did bring something to Rangers’ play but there was a distinct lack of composure in the last 15 minutes of the match as nerves started to kick in. 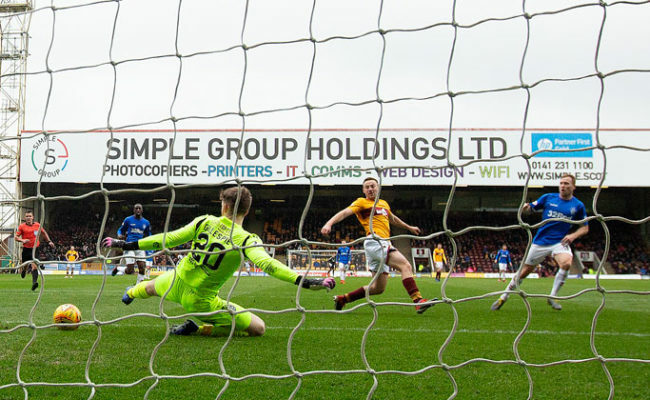 Motherwell kept every man behind the ball as the visitors pushed forward and when John Underhill blew his final whistle the home support celebrated as if they had taken three points. 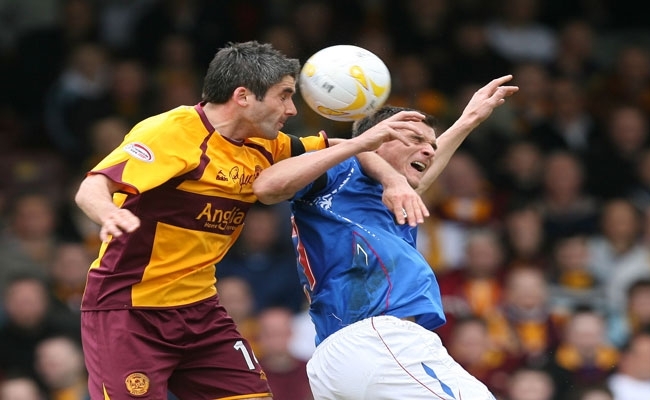 Rangers are now in need of a miracle if they are to lift the SPL trophy after this hugely frustrating day at Fir Park.